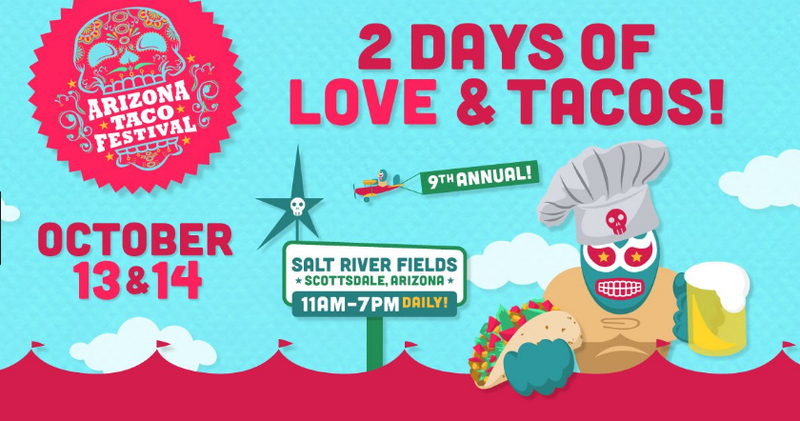 The original AZ Taco Festival returns this weekend to Salt River Fields. The event includes $2 tacos from new restaurants and food trucks. There will also be the Margarita Masters Tent and more than 100 brands selling Tequila and other agave-based spirits. The event, which also include $10,000 in prizes for the best tacos, runs from 11 a.m.-7 p.m. on Saturday, Oct. 13, and Sunday, Oct. 14, at Salt River Fields in Scottsdale. For more information about this event or to buy tickets, CLICK HERE!